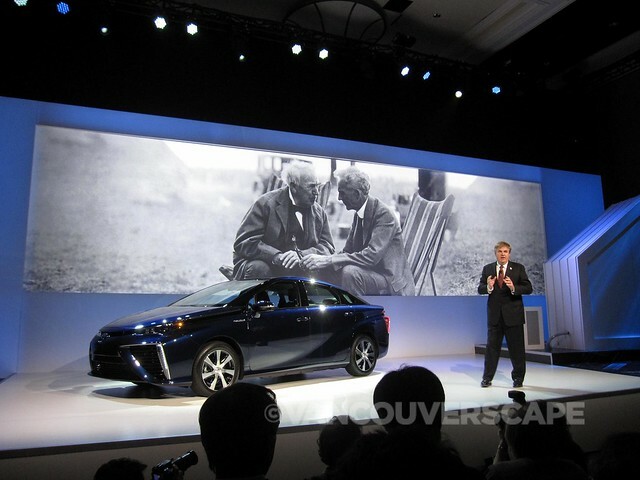 Toyota introduced the world’s first hydrogen-fueled cell car this morning during the 2015 CES Press Day. The four-door sedan will offer 300 miles in one filling with a three to five-minute refueling time. Yes folks, the age of hydrogen is among us. Futurist, Physicist, Best-Selling Author, and Popularizer of Science Dr. Michio Kaku was on stage to discuss the car’s features as well as the history of hydrogen, a plentiful fuel source comprising 75% of the universe, making it the most plentiful resource on our planet. Moving parts cause breakdowns; this Toyota’s engine has no moving parts. The car creates pure, refined waste, emitting only water vapor into the atmosphere. Electricity will be made on demand as needed. The car will also prove popular in colder regions, as it’s able to start up in -30C temperatures. 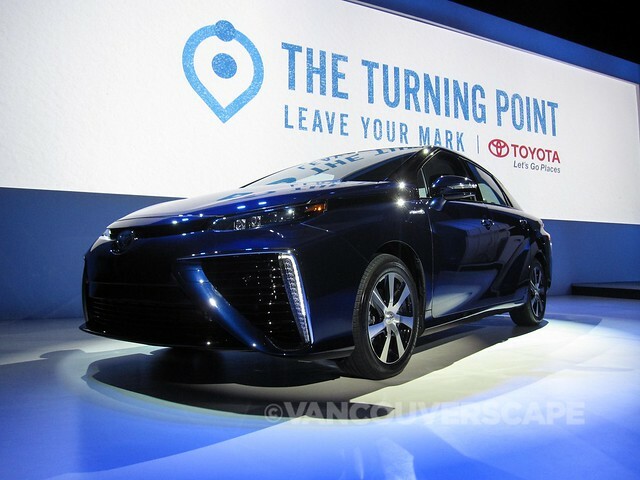 Titled the Mirai, Japanese for “the future”, the car will be completely powered by hydrogen fuel cells, unlike Toyota’s popular Prius hybrid. Toyota hopes to render the word smog obsolete from the dictionary as the car is rolled out between 2015 and 2020, the official product launch years. The $50,000 price tag will drop when governments begin to subsidize the new technology. California has already committed to hydrogen by setting aside $200 million dollars to build 100 stations throughout the state. Toyota will also collaborate with Air Liquide to set the Northeast region of the US on board. 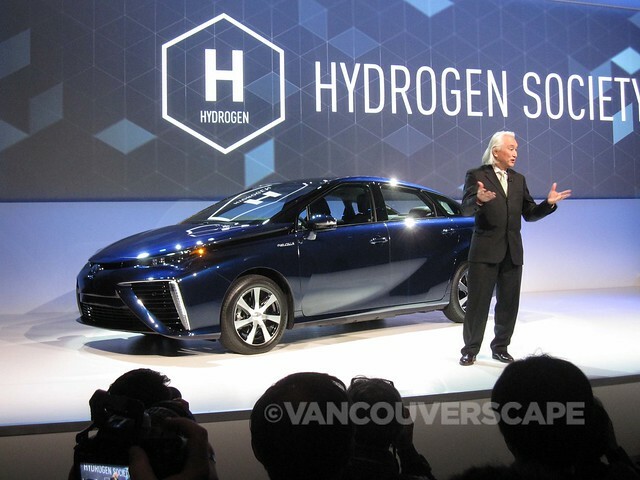 The company believes that over time, this will become a sustainable business model; they currently own 5,680 hydrogen patents – royalty-free, so that companies manufacturing and selling fuel cell vehicles can benefit from their research and development. The current breakdown of patents is divided into 1,970 fuel cell stack, 290 high pressure stack, and 3,350 fuel cell system control. 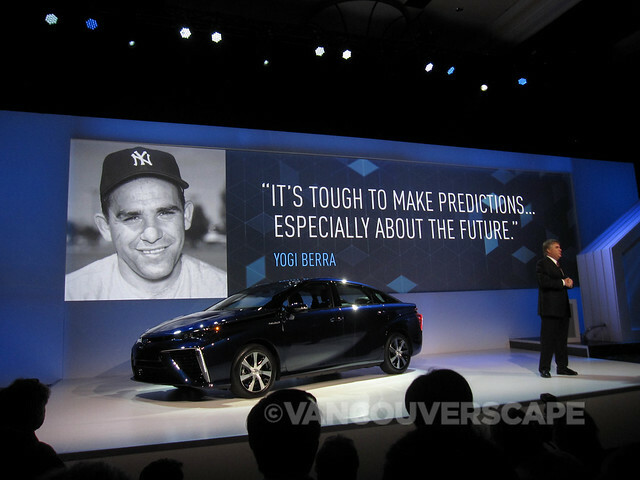 Toyota hopes to attract a broader range of buyers as well as improve components over time. Hydrogen is set to become the primary fuel over the next century, as well as both a social environment and an economic game-changer. As Abraham Lincoln once said, “The best way to predict the future…is to create it,” a quote that Bob Carter, Senior VP of Automotive Operations fondly echoes in the company’s mindset.